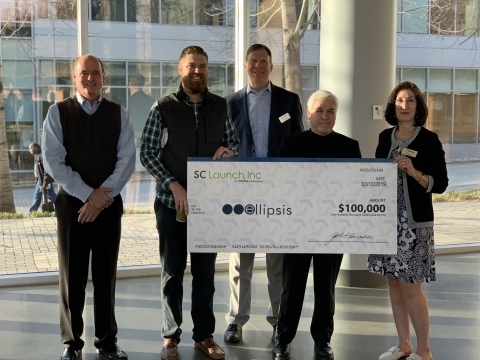 Ellipsis Technologies recently received a $100,000 investment from SC Launch, Inc. The Greenville-based company was accepted into SCRA's entrepreneurial program, SC Launch, in December 2015 and received the first investment, of $200,000, in March 2016. Ellipsis Technologieshas created Human Presence™, a bot security detection and mitigation service for websites. Unlike typical bot detection methods that require human interaction, Human Presence™ invisibly analyzes human behavior using artificial intelligence and machine learning algorithms mapping natural site visitor movements to determine if the visitor is a human or a bot. The company's technology is currently deployed with e-commerce merchants worldwide to improve user experience and ensure that their site is defended against malicious traffic. "The recent SC Launch, Inc. investment will be used to expand the Human Presence marketing to new app platforms and increase support efforts for existing channels, which include a five-star app for Shopify, a private app for Shopify Plus merchants, a Drupal module, a Magento extension and integrations with Convesio, Centarro and others," said Bill West, CEO of Ellipsis. "Our team built a strong, collaborative rapport with the Ellipsis team," said Jill Sorensen, SCRA Director of Entrepreneurial Programs and SC Launch, Inc. Executive Director. "This made room for productive discussions about what to finance, how and when. As a result, SC Launch, Inc. was able to advance financial support to Ellipsis at a critical time in the company's growth."